The J/24 is the most popular one-design keelboat in the world, and was admitted to SSA as a sponsored class in 1983. Designed to be stable enough for family sailing, and exciting enough to attract the world’s best sailors, the J/24 defines great one-design keelboat racing! 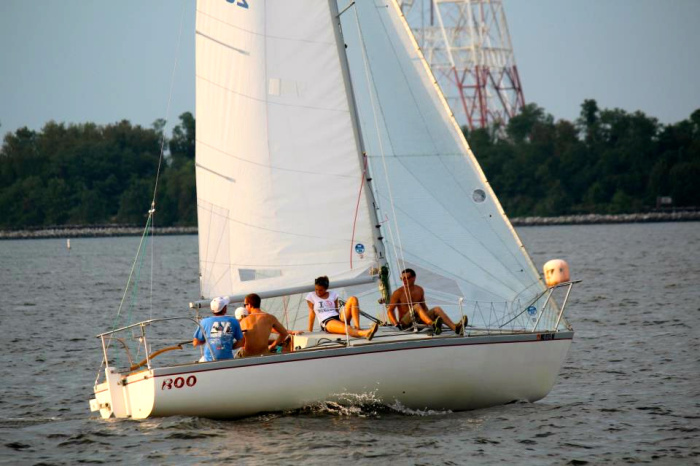 The Annapolis area has more than 50 local boats, with more than 25 actively racing each season. Exciting J/World Thursday-evening short-course racing runs from May through August, and a modest schedule of weekend racing at SSA begins in April and ends with the J/24 East Coast Championship the last weekend of October--where as many as 70 boats have competed. J/24s also participate in Annapolis Yacht Club Wednesday-night PHRF racing and the Eastport Yacht Club Friday-night Beer Can Series. 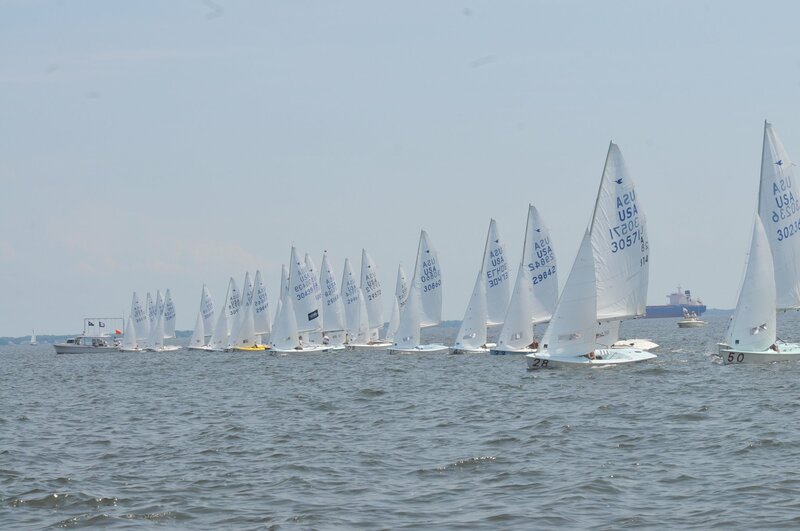 SSA hosted the 1992 J/24 World Championship, while our neighbors up Spa Creek at Annapolis Yacht Club hosted the 2009 Worlds. Good Sailing, Good Racing, Good Friends! Our class is made up of men and women who share a love of sailing, racing, and friendship. In addition to enjoying competitive sailing, we routinely gather after racing to socialize and get to know our fellow racers better. We would love to have you join us, whether your interest is crewing or eventually owning a J/24. While local J/24 racing is known to be hotly competitive, J/24 sailors are very interested in growing the class and want to be very helpful to those just starting out. It's not unusual to see some of the top sailors in the area showing newer owners and crews how to make their boats go faster. We are a class that wants to see everyone learn, be competitive, and have a good time too! With 15 to 20 J/24s racing on most Thursdays during the summer, as well as occasional weekend races, there are ample opportunities to learn about the boat through crewing. The maximum crew weight is 882 lbs., and most boats sail with five crew members. Skippers are often looking for additional crew, so opportunities to get involved in J/24 sailing are definitely not limited to boat owners! Many of the best boats have women either as crew or at the helm. The local fleet has a Facebook Group and Crewfinder Group on Facebook, which is used often by both skippers and crew. 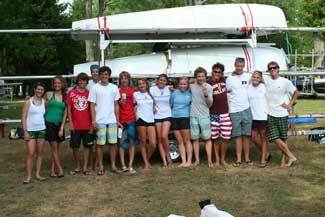 You can also contact SSA J/24 Fleet Captain Pat FitzGerald at 443-838-4095 if you are interested in crewing this season. With numerous J/24s in the Annapolis and mid-Atlantic area there are opportunities to purchase a previously owned boat at very attractive prices. For example, for roughly $5,000 you can purchase a boat that may need a little work, but would be able to be very competitively raced. While the J/24 is not a dinghy, it is quick and responsive (and, from the crew point of view, is probably more fun to sail since there are no trapezes or hiking straps). The international class rules are very tight, designed to keep the 5,400 J/24s worldwide within fixed one-design limits. So as to keep the cost of sailing the J/24 within the financial reach of mere mortals, sail inventory is limited to four: one main, two jibs, and one spinnaker. The Annapolis area fleet, J/24 Fleet 8, hosts a website that is frequently updated and posts to Facebook groups during the sailing season. You can also subscribe to our Fleet 8 email listserv by emailing pfitzgerald@comcast.net.